Should My Dog Be On A Raw Food Diet? Dog owners with their pet’s best interest in mind have certainly asked themselves at some point, should my dog be on a raw food diet? It certainly makes sense, dogs are animals and animals don’t cook their food, right? 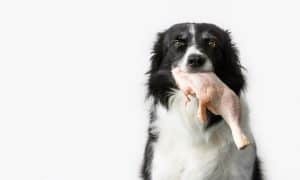 Some of us might be reluctant to take the leap to preparing and feeding our dogs a raw diet, but the benefits to our pets might far outweigh our reluctance – and the possibility of getting meat goo on our hands. 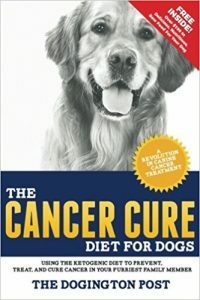 In this article from Randy Kidd, DVM, PhD at DogChannel.com, we learn the pros and cons (and the reasons the cons really shouldn’t worry us too much) about feeding our dogs a raw diet. Holistic vets I know (including yours truly) have long felt that feeding raw, meaty foods is the best way to help ensure long-term and whole-body health for dogs of all ages. Veterinarians report that after starting a meat-added diet, many dogs shuck all sorts of diseases, including arthritis, obesity, skin and gastrointestinal conditions, and immune-related diseases. In addition, many dog owners report that dental conditions (especially tartar accumulations) go away, and their dogs seems to have more vitality. 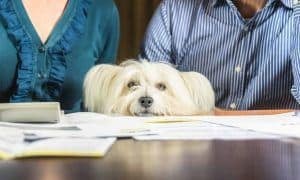 Some dog owners even report a change in behavior from an anxious or aggressive dog to one that is more calm and relaxed. 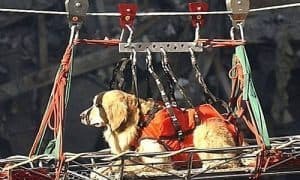 In my own experience, if I can convince dog owners who are reluctant to home-prepare all their dog’s meals to just add a bit of raw meat (1 tablespoon per 10 to 20 pounds of dog) to their dog’s diet on a daily basis, many of the diseases I’m trying to treat with my “doctor magic” magically go away. Raw meat is the single most effective “remedy” I have used, which I admit, sometimes makes me feel a little insignificant. I’ve had some clients who have not felt comfortable feeding raw foods, and I still recommend that they add meat, cooked slightly. These clients also seem to have good results, although I don’t feel the results are quite as dramatic. However, many people, including some veterinarians and dog owners, believe raw meat is associated with potential dangers. • Zoonotic concerns Dogs that ingest bacteria, even those dogs that don’t show signs of disease themselves, may pass the bacteria into the environment where it can infect humans. • Parasites. Parasites (and their eggs and larvae) that would likely be destroyed by cooking, may be present in raw meat, and could infect pets. • Intestinal upset. Some dogs develop loose stools when fed a raw diet. • An incomplete diet. It has been noted that some of the published raw meat and bones diets do not contain all the AAFCO-standard nutrients, and that some dogs fed these diets have developed bone abnormalities due to the insufficiencies. These are legitimate concerns, although most can be avoided with some extra care. Animal experts remind us that the canine intestinal tract is adapted to handle meats that have been contaminated with bacteria. Dogs have a shorter intestinal tract and thus a shorter digestive time and higher acid in the stomach. Clinical disease in dogs is uncommon, and when actual disease occurs, it is most often associated iwth hospitalization, another infection or debilitating condition, or exposure of large numbers of bacteria of bacteria in puppies. Cooking destroys most pathogens, but we still occasionally see contaminated processed foods. Proper meat-handling techniques – washing hands, food dishes and meat-processing areas after handling meat and keeping meats frozen or refrigerated until used – minimize contamination problems. Common-sense dog handling (washing your hands after handling a pet) lessens the chance for zoonotic diseases. 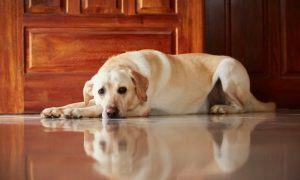 Although it’s possible for the bacteria to pass from the dog into the environment, the extent of the problem is unknown. 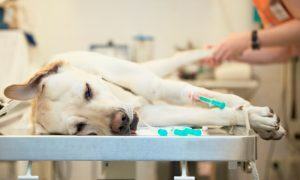 Verified reports of salmonella infections transmitted from dogs to humans have been rare. Pre-freezing of meats eliminates some, but not all, parasites. Most intestinal upsets are transitory and can be attributed to the dog adapting to the new diet. However, some may indicate an acquired bacterial infection – at this time we don’t have enough information to be certain which is the most likely cause. The final objection to raw diets is on the basis that they may not be a complete diet. This fits into the controversy of whether our dogs have inherited their evolutionary “wolf ways,” or have adapted to our diets of cooked carbohydrates and processed foods. 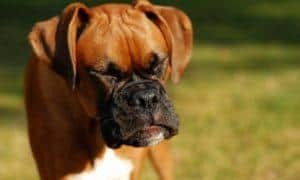 There’s no shortage of advocates on either side of this controversy, but it’s hard to dispute the fact that the canine’s basic gastrointestinal and dental anatomy has stayed the same throughout the evolutionary process, along with the basics of the canine soul that wants to socialize around a good session of bone chewing. The full text from Randy’s article can be found here. What do you think? 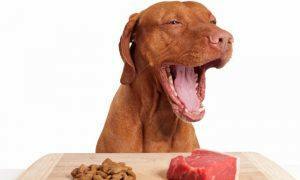 Should your dog be on a raw diet? Is he already? Share your stories with us below – if you’re already feeding your dog raw food, have you noticed any changes in his health or demeanor? We’d love to hear more in the comments below! Raw dog food diets are controversial and it’s better to try some readymade affordable dog food which is nutritious for the dog. All it takes is a little common sense, a little research, and a lot of love to feed your dog food from home. 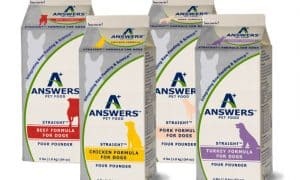 For any owners on the fence, check out http://secretsofdogfood.net/ You’ll find the answers you need to make the transition to raw food and find out why you shouldn’t be feeding your dog most commercial dog food brands. I’ve been feeding my dog, Jake, raw food for a little while now and he’s loving it. I don’t have to deal with any of the health issues most dog owners deal with. My comment mirrors Deborah’s above comment. I have been feeding my 4 dogs raw for over 10 years. They are far more healthy than any other dogs we have ever had. A bonus to a home made meal is we JUST read about recalls for bagged/canned pet foods. We have no panic about who is poisoning our fur babies. I am so strict about what goes into their mouths, I buy only buy beef jerky for humans as a treat. We do not feed anything made for dogs. I will make it myself and I know exactly what they are getting. My dog has been on raw diet for 12 1/2 years. He is 13. His food is balanced with raw meats, bones, vegies and fruits. We also give supplements. He is titre tested every other year as he does not receive vaccines except for rabies. At his last check-up in Oct 2011 his vet said that aside from his heart condition that is congenital and cataracts he seems quite healthy; this according to his blood work. Even his heart seemed better as I’ve found supplements and dandelion greens to address that. He walks an average of a mile a day.